A termination of marriage, divorce usually involves a court and judge in most U.S states. However, maintaining and issuing Nevada divorce records is the responsibility of the Nevada Department of Health and Human Services. Through the Nevada Department of Health and Human Services, you can search divorce records dating back to 1911. Records earlier than 1911 can only be obtained from the department of county recorder. If you make a proper request for it, the Office of Vital records provides divorce records for a fee of $10. You can request for Nevada divorce records in person, through mail, over the phone or online. If you want to request Nevada divorce records over the phone, you need to call the Nevada Department of Health and Human services at 775-684-4242. People seeking divorce records in Nevada should keep in mind that the Office of Vital Statistics does not provide certified copies of divorce rather it verifies the legal status of a divorce. 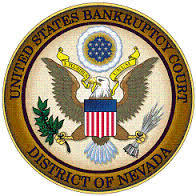 Apart from the relevant state department, you can obtain Nevada divorce records online through public databases. A single database is where these online services keep the divorce records. This makes it easy and quicker to conduct searches related to Nevada divorce records. Although divorce records are treated as public records, the divorced person has the right to privacy. This is the reason the only information provided to a third person is the legal status of the divorce and where/when the divorce took place. All other records including grounds for seeking divorce, the issues related to child custody and the property settlement issues are not available for public viewing. Contacting the relevant Nevada contacting for the divorce records is the ideal way to obtain Nevada divorce records but if you don’t know the exact county, you should get in touch with the Office of Vital Statistics. If you apply for the divorce records online or via mail, you’ll need to pay the fee through a check or money order. If you want to get any further information about Nevada divorce records, you can visit the website of the Nevada Department of Health and Human Services. It sounds like you’ll need a certified copy of a Nevada Divorce Record. In order to accomplish this you will want to visit the corresponding Nevada courthouse where the divorce was filed and officiated. Talk to the courthouse clerk and they will be able to assist you with certified Nevada divorce records.